More than one million holidaymakers head to Spain to play golf. It’s a growing trend with dozens of new courses cropping up along with chic resorts offering golf, spa, cuisine and hotels so you can practically slip out of bed and on to the fairway. The Alicante region has more than 18 golf courses, some of which are more challenging than others. Whether you are a beginner or want to test your handicap on a championship course, Alicante comes up trumps. 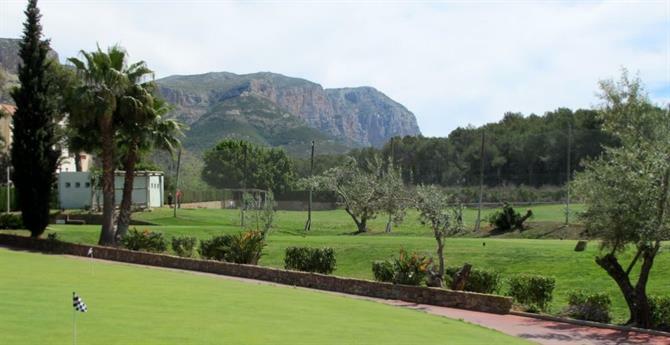 Spain-Holiday has picked a range of courses to suit all levels and budgets for your golf break on the Costa Blanca. Designed by Seve Ballesteros within the five-star Oliva Nova Beach and Golf Resort, just to the north of Denia, This par72 links-style course has some very interesting features. Water features in 15 of the holes to add to the challenge while you need to watch out for the wind which comes into play on holes 13, 14 and 15. It’s played host to some prestigious tournaments but has been designed to be suitable for beginners and more experienced players. There’s also a pitch and putt course with five holes which is great for practise. Green fees are €65 for nine holes, €95 for 18 holes, although packages are available which significantly reduce the price. The prestigious La Sella golf course was the first to be designed by double Masters’ champion Jose Maria Olazabal in 1991. It’s in a charming setting with the majestic Montgo mountain providing a beautiful natural backdrop. It consists of three 9-hole courses named after local winds. Llebeig is a varied course to test players as they will have to use almost all of their clubs. Gregai adds some tricky water features and the last holes are designed to be match deciders. Mestral has wide fairways and large greens. It’s located within the five-star Denia Marriott La Sella Golf Resort and Spa. You can book a special holiday package. Otherwise expect to pay about €75 per round. Close to the San Juan de Alicante beach is another course designed by the late, great Seve Ballesteros. The Alicante golf course has been described as an oasis in the city and Alicante’s green lung as it provides a natural haven for the beach city. It is regarded as one of the best designed golf courses in Spain with an entertaining format. The 72-par course has six par-three holes, six par-four and six-par five so golfers will not play two consecutive holes with the same par during their round. There are also five large lakes to test your accuracy. Even more unusually, at the 14th hole are the ruins of a Roman villa which the ball needs to clear to hit the green. Prices start at about €53. Five lakes and plenty of bunkers with broad fairways will test golfers’ skills at the Bonalba Golf Resort. It’s suitable for all levels and absolute beginners or people looking to improve their game can book lessons as well. The first nine holes are considered to be the most technical where the short play will help golfers get the ball into the holes. The next nine holes, especially from 12 to 18, will need the driver more. You can play nine holes for €32 or the full 18 for €55. La Finca is one of the newest courses but has rapidly built up a reputation as one of the finest on the Costa Blanca. The course is on the luxurious five-star Hotel La Finca Golf & Spa Resort at Algorfa, which is also well-known for its fabulous restaurants. The course has broad fairways with each green offering a different experience. For example, the green at the 7th hole looks like a bowling green while the green at the 14th hole is round and deep to resemble a wok. La Finca Golf has hosted several prestigious tournaments since it opened in 2002. Its unique design was dreamt up by Pepe Gancedo, one of the best amateur players in Spain. There are cheaper courses around – you will pay about €70 to play at La Finca – but its design and quality of the course should make it worthwhile. 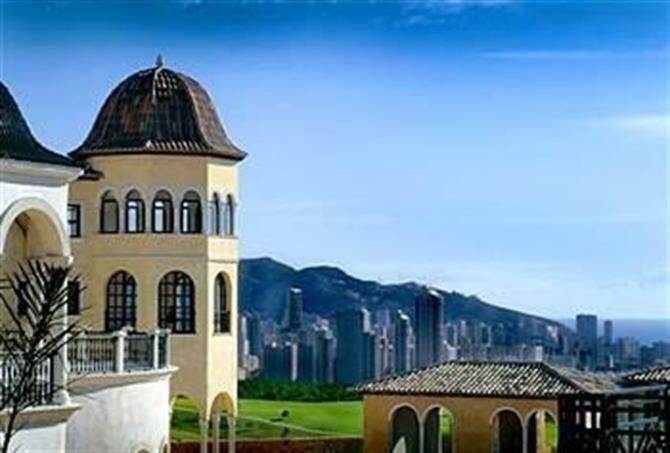 High in the hills above Benidorm is the Melia Villaitana Resort with two golf courses. The 72-par Levante championship course and 62-par Poniente executive course were designed by the legendary Jack Nicklaus. The Levante course has been laid out in an America style with wide fairways and amazing views over Benidorm, the Mediterranean sea with the Sierra de Finestrat mountain. Mountain and sea views can also be enjoyed by the Poniente course which is built on a slope in a pine forest. This is a shorter course and can be completed in three to four hours. Players with a low handicap will find it demanding while golfers with higher handicaps will also find tricky shots to try out. The Melia Villaitana is a great place for a holiday as the resort has been designed to look like a traditional Mediterranean village with typical Spanish squares, two hotels, restaurants, a conference centre and spa. In fact, the Villaitana would be the ideal spot to combine a golf break with a business meeting or even a wedding (it has a lovely little chapel!). 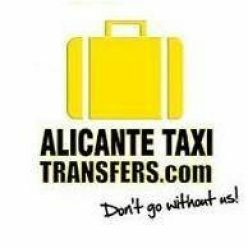 Cheapest prices are from €25 to €59 for Poniente and €40 to €75 for Levante. Another resort where you can enjoy a golf wedding is at the four-star El Plantio Golf Resort, just outside Alicante. It’s suitable for all levels as there is a championship, 18-hole, par 72 course and another 9-hole course of 27 par. The resort has 45,000 trees, many of which can be found on the courses, provide shade in the sweltering summer months as well as providing shelter from prying eyes while you play. The trees also provide another barrier for players to negotiate when lining up their shot. You can enjoy a scenic walk with sea views while playing at the 72-par championship course at Villamartin, between Torrevieja and Murcia airports. It’s a hilly course designed by Paul Putman, so will test golfers, with the first nine holes being at the highest level with beautiful sea views. The next nine holes are in valleys. Villamartin’s claim to fame is that it hosted the 1994 Mediterranean Open, so golfers can follow in the footsteps of some of their biggest sporting heroes such as Jose Maria Olazabal . The course can be enjoyed by players of all levels as it requires you to use every club in your bag. 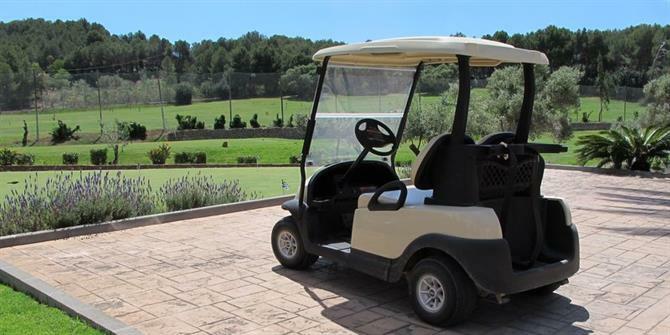 Fantastic location for a golfing holiday as you can rent a villa at La Marquesa golf resort in Ciudad Quesada, just 30 minutes from Alicante airport. It’s suitable for all the family as the resort has a golf school for children from six to 18. The course, designed by Justo Quesada Samper, has some tricky holes to test players including the first hole being flanked by water, and the green is designed in places to make unpredictable bounces. There’s also a putting green and driving range to practise these skills. Prices from €39 for 18 holes, €23 for nine holes with junior fees from €15 for nine holes and €23 for 18. Close to the popular beach holiday resort of Torrevieja and the Zenia Boulevard shopping centre is the stunning Las Colinas golf and country club. You can stay in a stunning modern villa by the golf course where you can sharpen your skills at the golf academy or relax at the beach club. The par-71, 18-hole championship course itself is a work of art and blends in perfectly with the natural landscape across the valleys between the hills. This stylish resort is suitable for couples who want to combine golf with a chic beach holiday. It’s one of the premier courses on the Costa Blanca and in the Top 100 in Europe so playing here does come at a price of about €90 although you can pay around €43 if you book after 4pm.